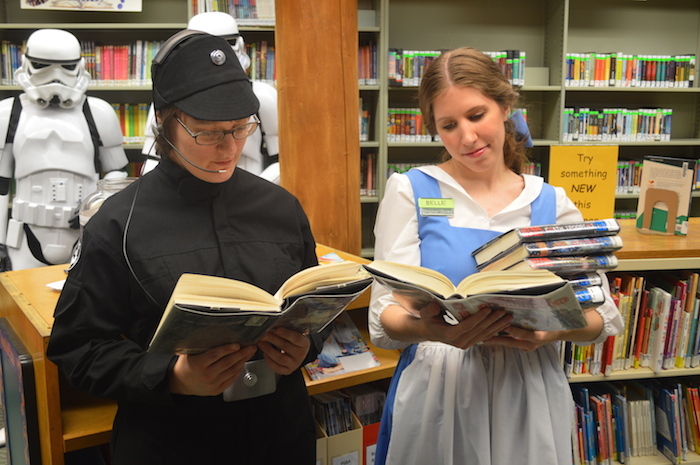 We spent the day at Simpson Library for a mini sci-fi/anime convention. We walked around the stacks and the lower level, having our photos taken with folks. 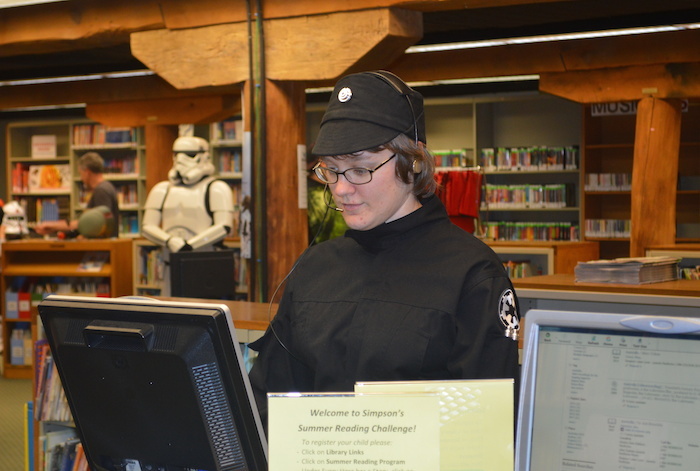 The library hosted a number of events throughout the day - a costume contest, drawing lessons, Mario Kart tournament, a lightsaber duel, and others. People from the community came in costume and were excited to see us. The librarians prepared a nice room for us to prepare, eat lunch, and cool down. They set out bottled water and later brought sandwiches and pasta salad and periodically checked with us to see how we were doing. They were wonderful hosts! 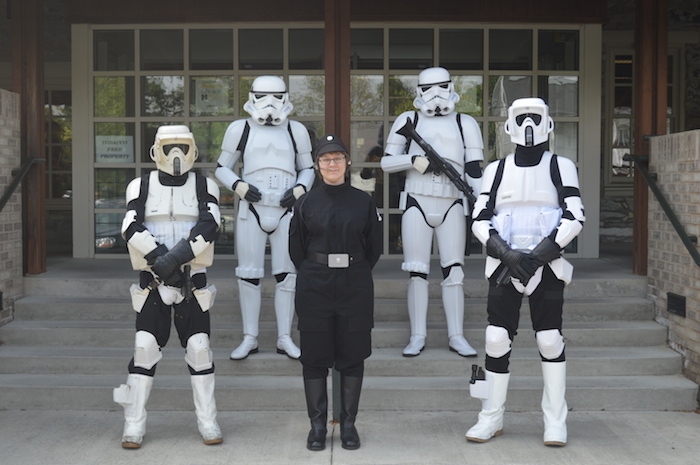 Afterwards, we troopers went out for some dinner. It was nice to have time to chat and get to know everyone better. It was a fun day! And my headset actually survived the day - huzzah!